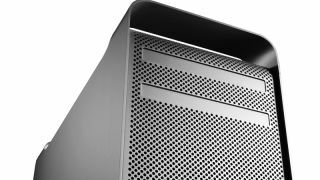 Apple's Q2 2012 PC sales have seen it break into the top five for manufacturers in the UK, according to estimates from Gartner. Apple was only beaten by HP (469,000 sales and 18.5 per cent sales), Dell (313k / 12.4 per cent), Acer (293k / 11.6 per cent) and Toshiba (238k / 9.4 per cent). Tosh performed particularly well, with 51 per cent growth compared with last year. However, despite Apple's breakthrough, Gartner says the UK market is still performing very weakly and underlined the importance of Windows 8 and Ultrabooks to returning growth. Ranjit Atwal, a Gartner research director, wrote: "The real worry for the UK PC market is whether it will ever return to solid growth. "Windows 8 and Ultrabooks now look even more important. However, messages emerging from the PC supply chain remain inconsistent and largely uninspiring."